Designed by Grumman, the Tracker is a twin-engine aircraft carrier-borne anti-submarine patrol aircraft from the 1950s. 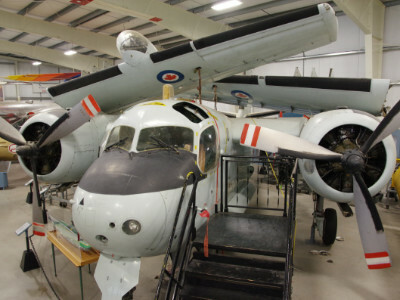 In Canada, 100 Trackers were built under license by De Havilland Canada for use with the RCN aboard HMCS Bonaventure. 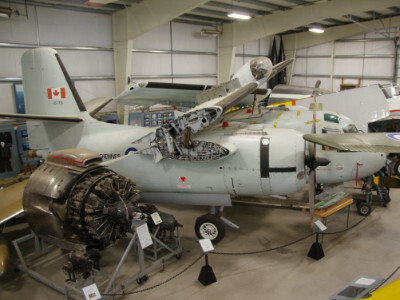 With the retirement of the Bonaventure, the Trackers became land-based patrol aircraft based at CFB Shearwater and later CFB Summerside PEI. 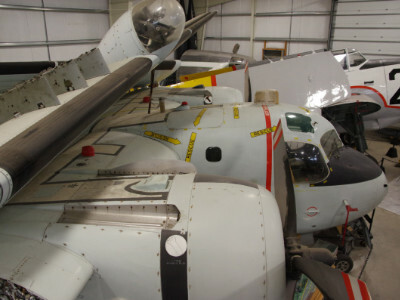 The Museum’s Tracker was declared a surplus in 1990 and acquired for display.